DUBAI, United Arab Emirates (AP) — Rory McIlroy is set to give up European Tour membership in 2019 to focus on the U.S. PGA Tour. Just for the year, for now. 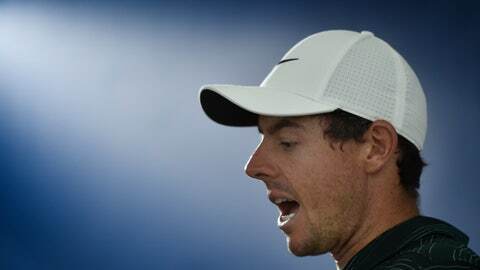 McIlroy said on Tuesday at the World Tour Championship he intends to play only two full-field European Tour events in the first half of 2019 because of changes in the tournament schedule. The three-time Race to Dubai champion said he’ll be spending most of his time in the U.S. because the Players’ Championship and the U.S. PGA Championship have been brought forward to March and May respectively. That has pushed the European Tour’s flagship event, the BMW PGA Championship, to September. “It is the result of the changes,” he said. “I don’t have to commit to anything until May, so I will not have played a European Tour event … I will play the WGCs and majors and events like that, but the true European Tour season does not start until July. McIlroy said relinquishing his membership was made easier by the fact that 2019 was a non-Ryder Cup year. The former world No. 1 is ranked seventh. He’s won only once since the 2016 Tour Championship. “I guess my thing is that I want to play against the strongest fields week in and week out, and for the most part of the season that is in America,” he said. “If I want to continue to contend in the majors and to continue my journey back towards the top of the game, then that’s what I want to do. McIlroy heads into the World Tour Championship ranked sixth in the Race to Dubai. The Northern Irishman has no chance of winning the Order of Merit crown for the fourth time. Only Francesco Molinari and Tommy Fleetwood can win the race.